Few events have had a more profound impact on the upheavals of the sixties than the psychedelic revolution spawned by the spread of LSD. Here is the full astounding story -- part of it hidden in secret Government files -- of the role the mind-altering drug played in our turbulent history and its continuing influence today. 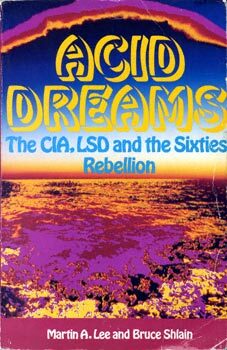 Acid Dreams is the complete social history of the psychedelic counter-culture that burst into full view in the Sixties. The authors reveal how the CIA became obsessed with LSD during the Cold War until the drug spread into popular culture. Ken Kesey and his band of Merry Pranksters, Allen Ginsberg and the Beat Generation, Timothy Leary, the Diggers, William Mellon Hitchcock, G. Gordon Liddy, Abbie Hoffman, the Beatles -- these are just some of the characters who stride through the pages of this compelling chronicle -- a history of a time still only dimly understood though hardly forgotten. "An engrossing account of a period...when a tiny psychoactive molecule affected almost every aspect of Western life." "As splendidly written as it is fascinating. . . . A remarkable history of an unforgettable time." "This funny and irreverent book brings it all back." "...a marvelously detailed contemporary history...loaded with some startling revelations." "An important study of cultural history." "A missing link, a work of combat history, a devastating combination of facts and poetry that is bound to arouse controversy." Martin Lee is an investigative journalist whose articles have appeared in Rolling Stone, The Nation and other magazines. He is the winner of four Hopwood Awards. Bruce Shlain is a Hopwood award winner whose articles have appeared in Mother Jones and the Dictionary of Literary Biography. He currently writes for television and film.